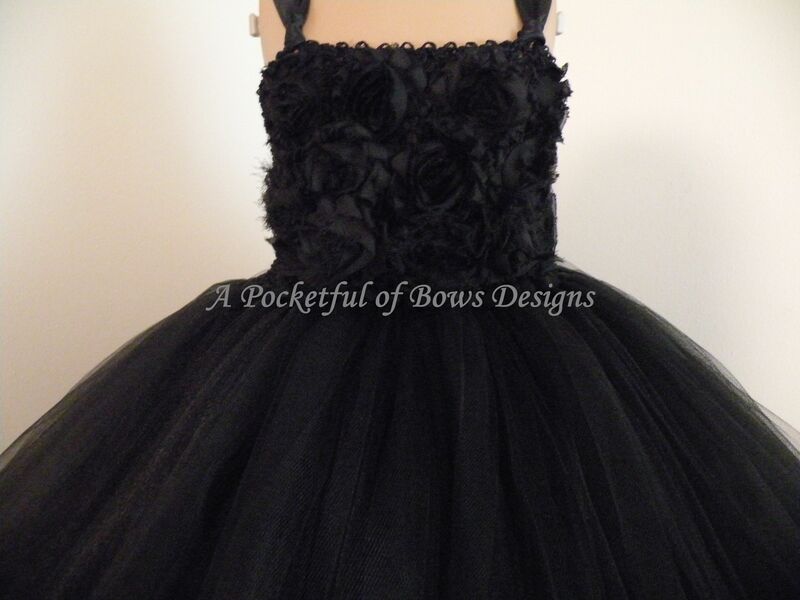 Black flower girl dress with shabby flower top. 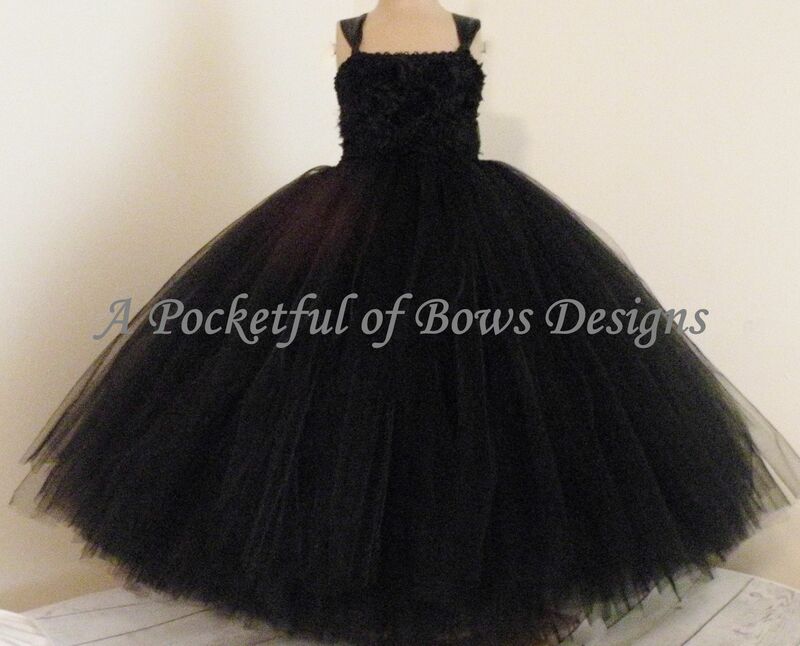 This tulle dress has a lined top with black shabby flower across the front of the top and satin shoulder straps. 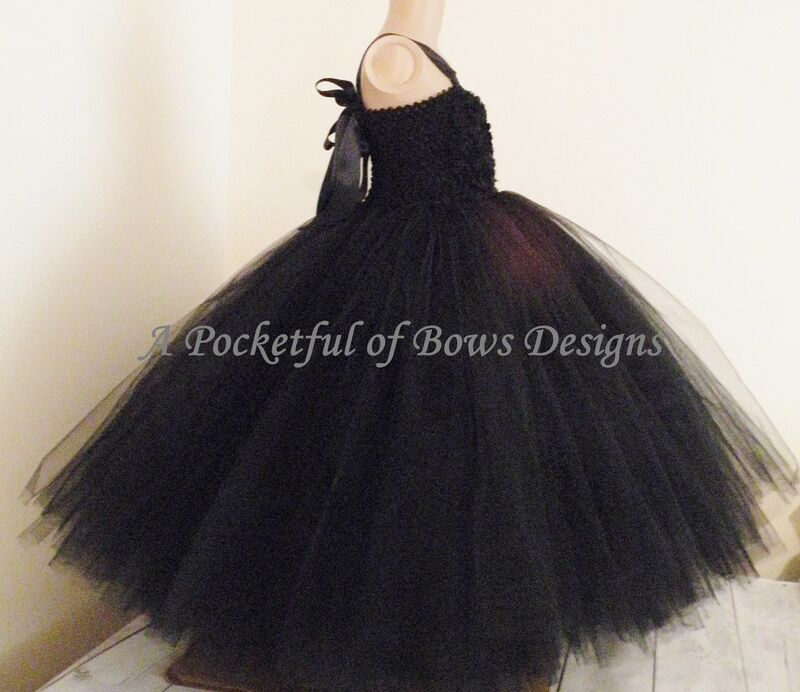 The skirt is a super full and fluffy ball gown style. This dress is also available in white. light pink, hot pink, yellow, light blue, royal blue, ivory. peach and mint. Need another color please message me your request. Chest measurement 15 to 30 inches. Overall length up to 36 inches. Flowers are subject to availability and may vary slightly.